Canadian violinist Aaron Schwebel has performed throughout the world as a chamber and orchestral musician. His warm, charismatic musical personality and versatility as a performer have led him to pursue a variety of roles and collaborations, with a particular love for chamber music. A native Torontonian, Aaron holds the positions of Associate Concertmaster with the Canadian Opera Company and Concermaster with the National Ballet of Canada Orchestra. 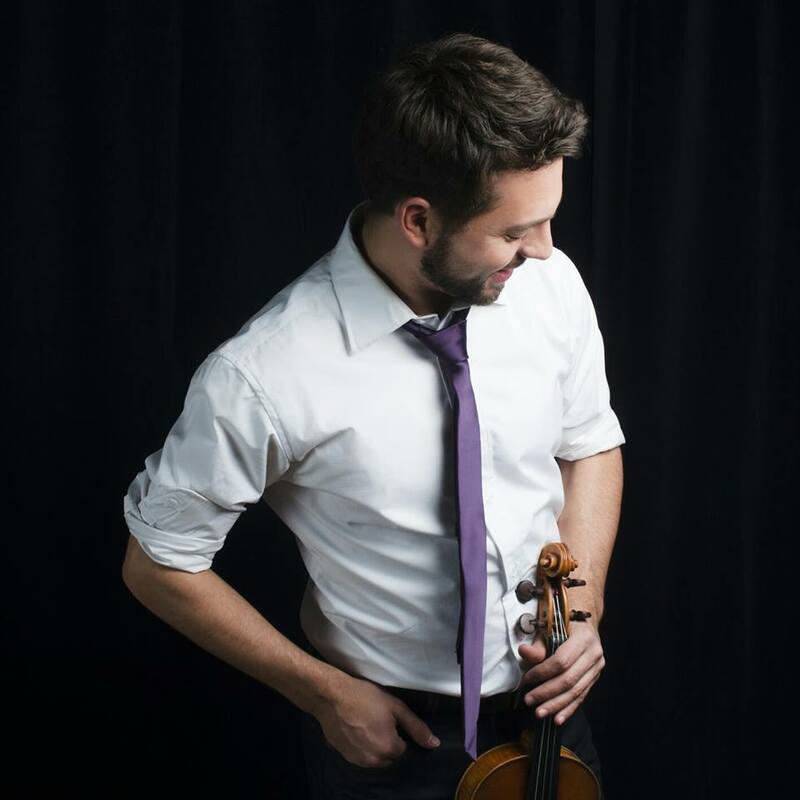 In the past, Aaron has performed as guest concertmaster with the National Arts Centre Orchestra, the Hamilton Philharmonic Orchestra, Kitchener-Waterloo Symphony, and Orchestra London. Aaron works regularly as an extra with the Toronto Symphony Orchestra and the National Arts Centre Orchestra. Aaron did his studies at McGill University’s Schulich School of Music and Indiana University. Teachers include Jonathan Crow, Yaela Hertz, Mauricio Fuks, and Andre Roy. Upon graduation from McGill, Aaron was awarded the Schulich School of Music’s Golden Violin Award. During his studies at McGill, Aaron co-founded Chamber Music Without Borders (co-director 2008-2010), a student-run outreach initiative that presents concerts, workshops, and other musical events in the Montreal community. Founded in 2008, CMWB presents over 40 free concerts per year in the Montreal area and- still under the directorship of McGill students- continues to function as a self-sustainable volunteer organization. Aaron has been a member of the Roddick String Quartet, representing Canada at the 2009 London International String Quartet Competition, as well as the Kuttner Quartet, the student string quartet in residence at Indiana University. He has been invited to take part in Ottawa Chamberfest, Montreal Chamber Music Festival, Music By The Sea in Bamfield, British Columbia, and the Rosebud Chamber Music Festival. He was recently featured on CBC Radio 2 ‘In Concert’ as a 2014 Next! Artist. Aaron has performed as a soloist with the Toronto Symphony Orchestra, Sinfonia Lanaudiere, and McGill Symphony Orchestra. He has been on faculty at KlezKanada as a violin teacher, having attended the summer klezmer music festival frequently since he was a child.